Happy April everyone! I'm currently in China at the moment, and I'm honestly having such an amazing time here. Everything from the food and people, to the detailed architecture have been so great! This trip was such an eye opening experience, and I would love to come back next year. I'll have a more detailed blog post soon so stay tuned! I've been loving this red and white striped long sleeve from Chriselles collaboration with J.O.A. 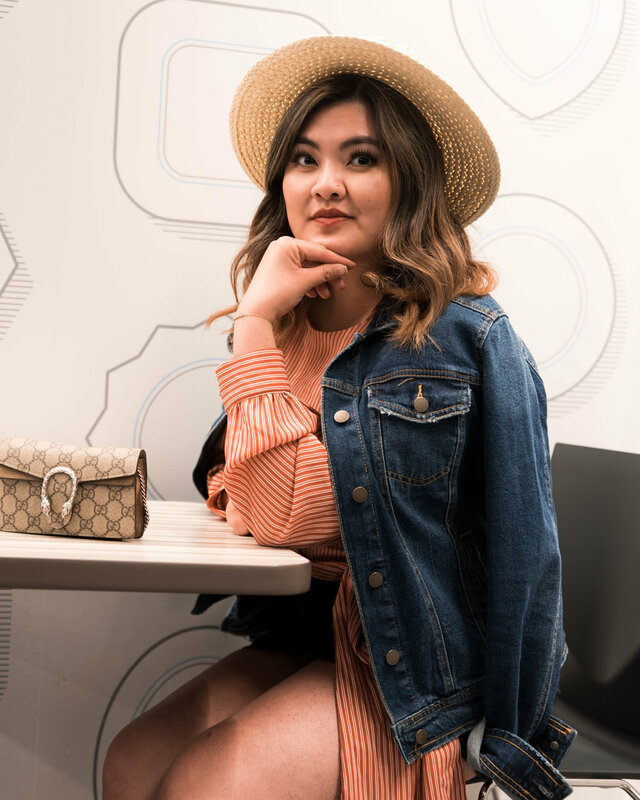 It's the perfect top for spring since it's such a classic print, and the long ribbon makes it so versatile to wear in multiple ways. 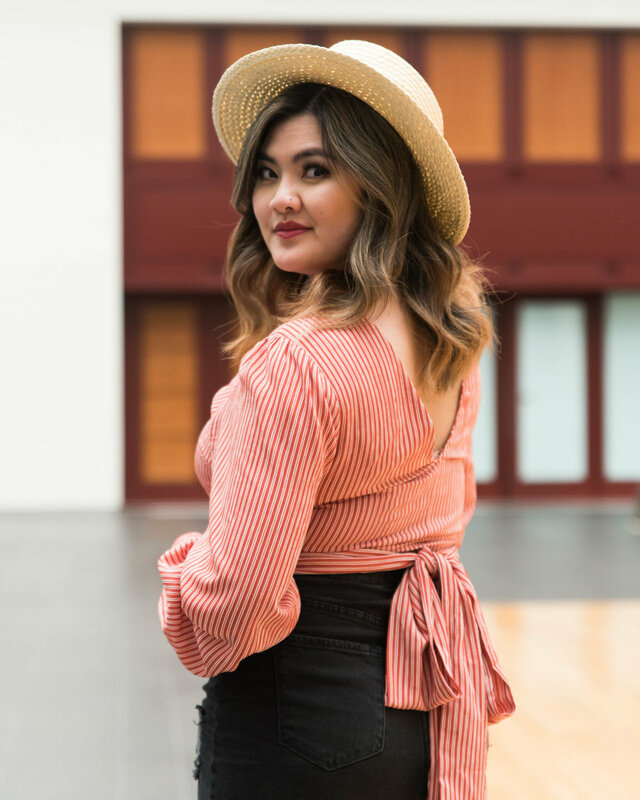 This will definitely be my go to top in spring! The cuffed sleeves along with the little buttons add such a cute touch to the top. Also, I've been obsessed with denim skirts lately too since its so comfortable, and easy to pair with simple outfits. It's the small details that make an outfit look polished and clean! Thank again for the support and love on my first post! Links are down below to shop my outfit!